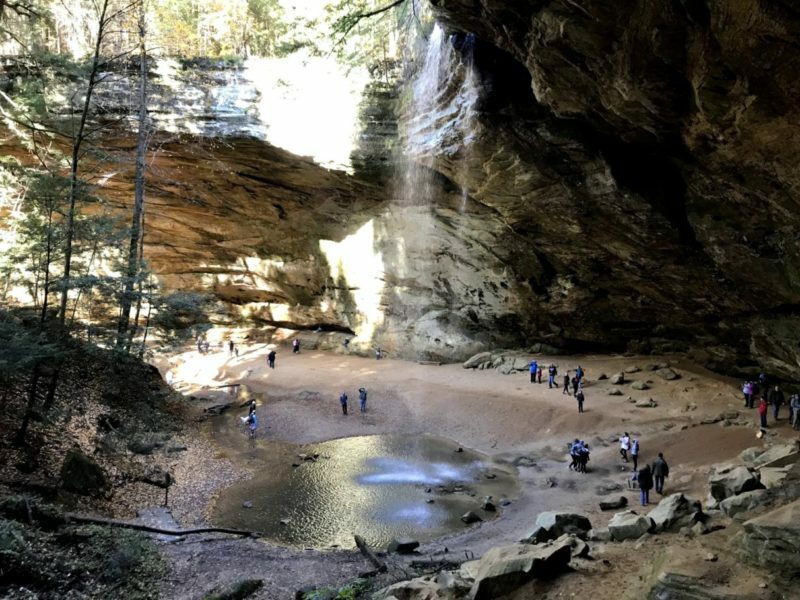 At the south end of Hocking Hills State park lies the largest recess cave in Ohio. 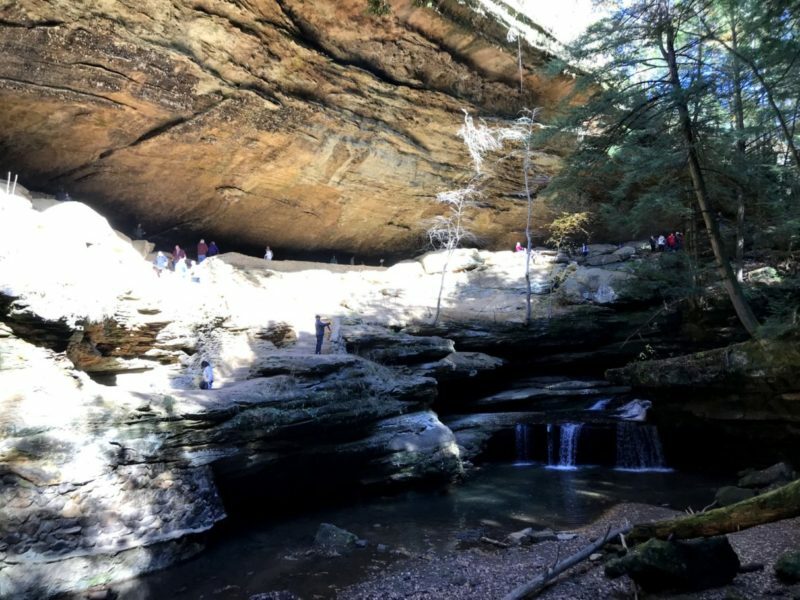 At 700 ft across it an outstanding feature to see. 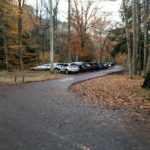 The trail up to Ash Cave is an easy paved 1/4 mile. 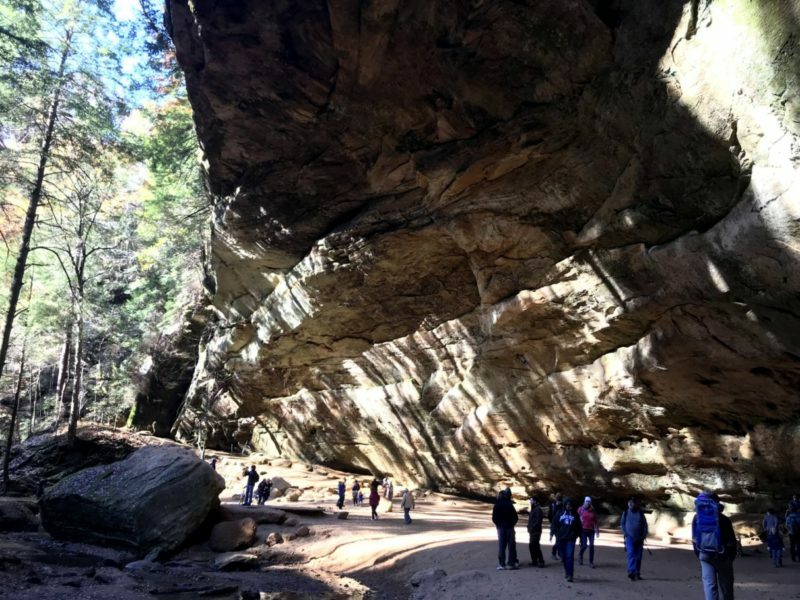 At the end of the paved path visitors are welcome to explore the expanses of the cave. 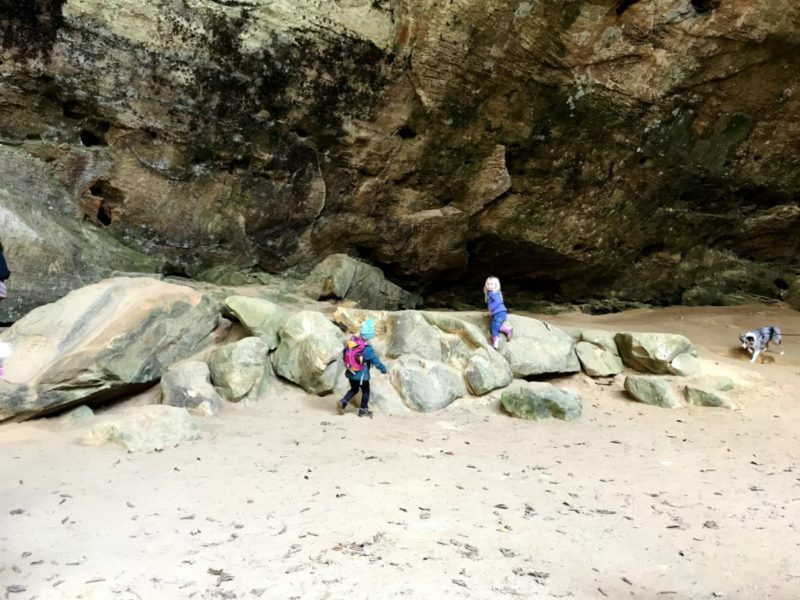 Kids love to play in the sand, climb boulders and play in the waterfall. 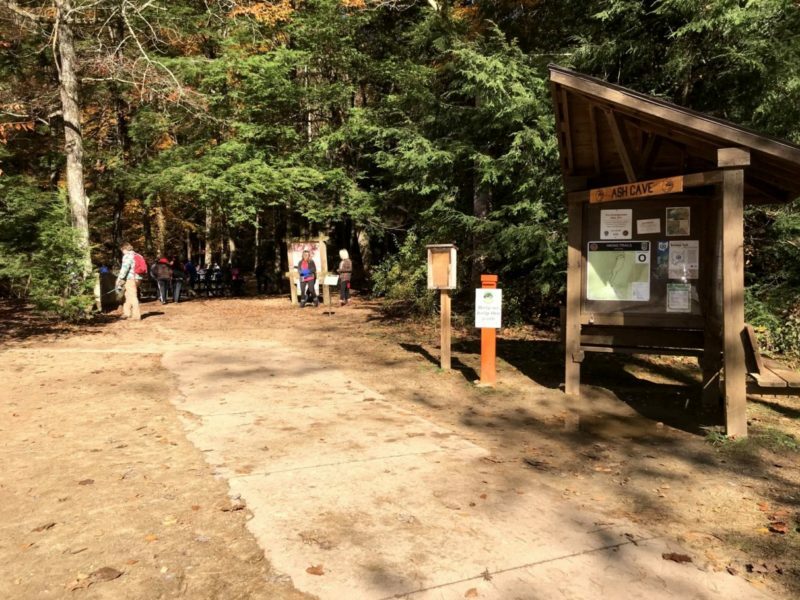 You can also explore the 1/2 mile rim trail around the gorge for a view. 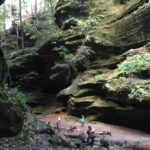 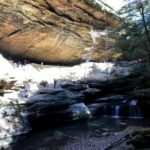 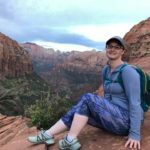 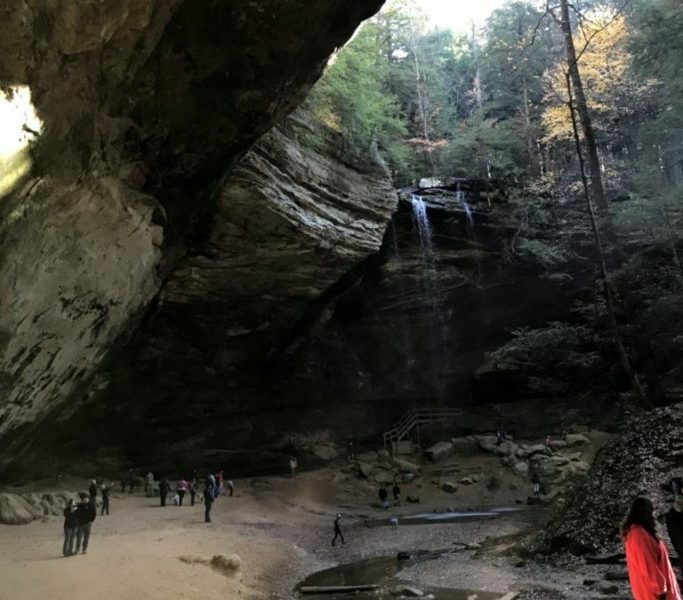 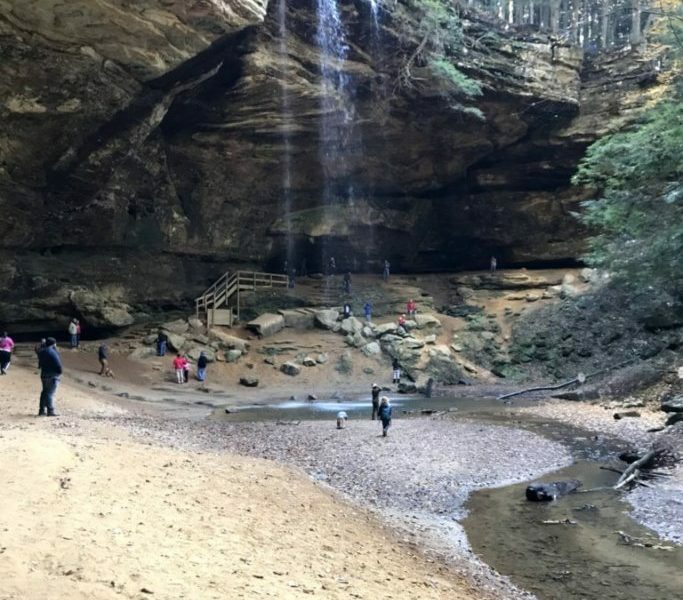 For a more adventurous hike the Buckeye trail runs through Ash Cave and you can make a nice day hike starting from Old Man’s Cave, Cedar Falls, or several other starting spots within the Hocking Hills area. 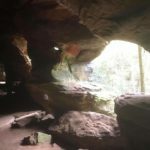 Ash Cave got it’s name due to the discovery of massive amounts of fire ash from hundreds of years of native camp fires. 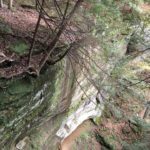 Pulpit Rock seen from the edge of the paved path, was once used as a podium for village meetings and Sunday services. 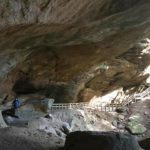 There are also a couple of spots within the cave that are a Whispering Gallery.